Once a week or so, I try to go out for a drink with a few friends so we can commiserate each other about the fact that we are parents to young children. If you've ever been a parent to a 3 year old I'm sure you might know what I mean. Anyway, we had decided that we'd meet up at the Costain Club Dolphin Club The Club at the Dolphin Village for last weeks pity party. We stumbled across something that none of us were expecting - an event called Wine Down Wednesday. 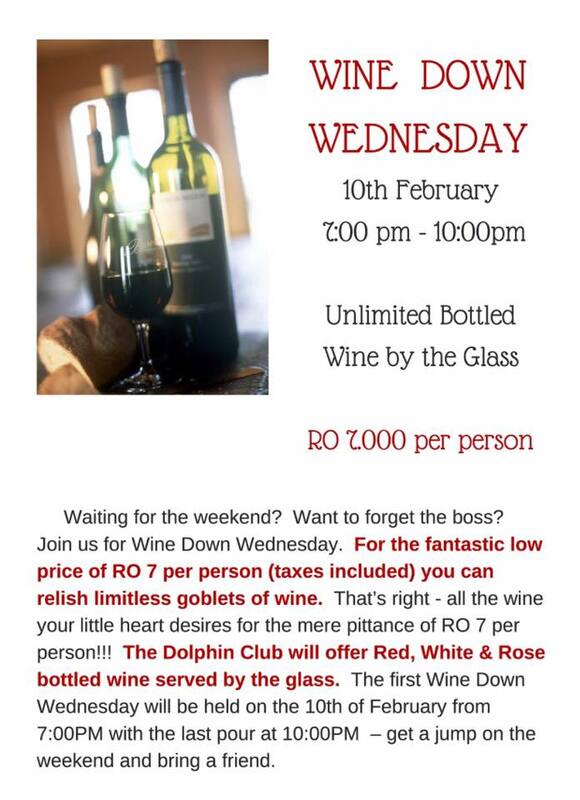 Unlimited bottled wine (white, red or rose) poured by the glass for RO 7 between 7pm and 10pm.